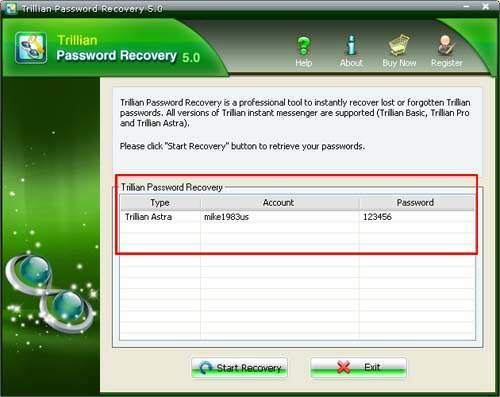 Tips: Below are the steps to recover lost or forgotten Trillian passwords. 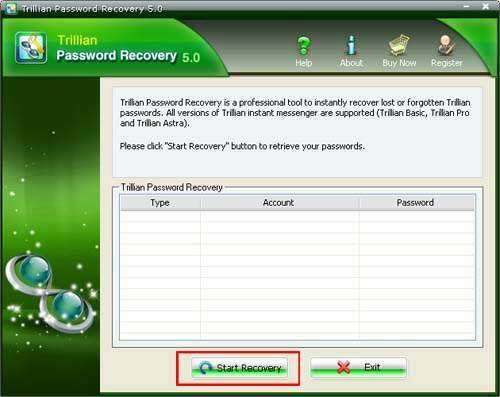 using Trillian Password Recovery 5.0. To see the detailed information, please refer to the "Help" document integrated in the program. Step 1: Run Trillian Password Recovery. Step 3: All the emails with Server Address, Login, Passwords, and Server Type are displayed in the box. Sounds Good? Get " Trillian Password Recovery " Now!